Nole continued his dominant streak at this year’s Australian Open for a place in his seventh final at Melbourne Park. 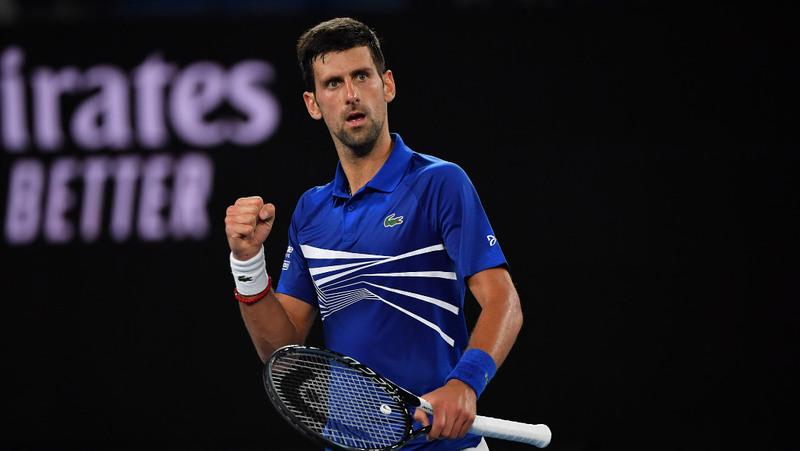 World no.1 Novak Djokovic put in a sensational performance, racing past 28th seed Lucas Pouille in straight sets 6-0, 6-2, 6-2 in just 83 minutes on Rod Laver Arena on Friday to power into his 24th major championship final (14-9 record). It was a one-sided semi-final contest. Novak was a class apart from the first-time Grand Slam semi-finalist. The top seed broke the Frenchman seven times from 12 opportunities and won 84 per cent of points on his first serve. Djokovic completely dominated the opener, racing through the set 6-0 in 23 minutes. He won 28 points compared to Pouille’s 12, and made just one unforced error. The match continued to be one-way traffic as Nole broke twice in the second and third sets to wrap up the win. Match statistics: aces (6-4), double faults (0-3), winners (24-18), unforced errors (5-27), total points won (83-44). Novak will try to earn a record seventh Australian Open title and his 15th Grand Slam trophy when he faces second seed Rafael Nadal (27-25 H2H) on Sunday. The two tennis greats have met only once at the Australian Open. It was the final showdown in 2012, when the Serbian star prevailed after five hours and 53 minutes to win the longest Grand Slam final of the Open era. Djokovic has lifted the Norman Brookes Challenge Cup in 2008, 2011, 2012, 2013, 2015 and 2016. Should he win on Sunday he will surpass Roy Emerson and Roger Federer in terms of all-time victories in Melbourne.